ODLP-400 two saw edger is designed for the double-sided formatting of the board in the production process. The device at the same time forms the two edges of the boards so reduces the duration of the entire process. The steel construction of the body provides a stable operation of the device. The device is equipped with two high-performance units formatting the board to the desired width, regulated in the transverse plane to workpieces. The high speed of working tools ensures good surface quality after woodworking. Also, are mounted two chipper shredders. 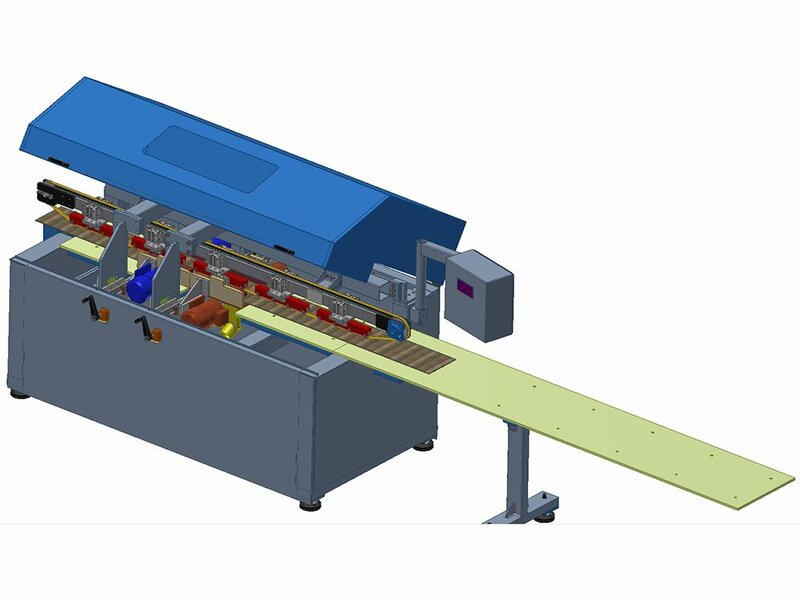 Transport of elements through two saw edger provides the chain conveyor from the bottom. From the top, the workpiece is pressed against – secured by the conveyor and pressed against pneumatically.